Add some extra protection to your AltimeterOne, AltimeterTwo, or AltimeterThree. 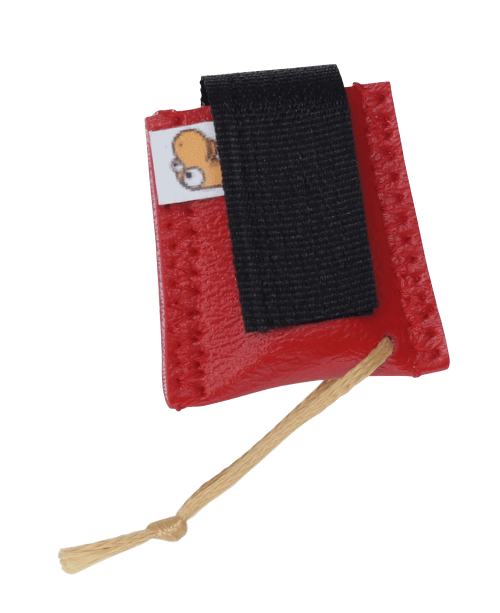 This coated vinyl protector gracefully incorporates a high-strength stranded tether (included) and uses Velcro to let you quickly set and check your altimeter without removing it from your rocket. Manufactured in the USA by our friends at Dino Chutes. Velcro is black, and vinyl is a bright red for visibility. Weight (with tether) is just under 3 grams. Simply enter your details below and we will send you an e-mail when “Altimeter Protector – Red” is back in stock!